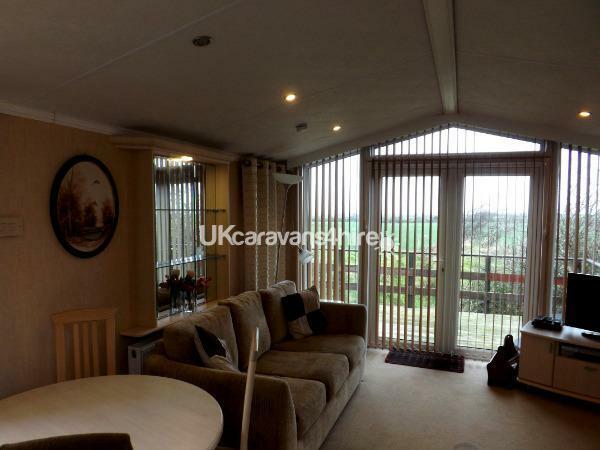 Caravan can be hired for weekends and for just one night,subject to availability, please contact us for information about availability and pricing, we will always try to assist you. £50 deposit secures your holiday. 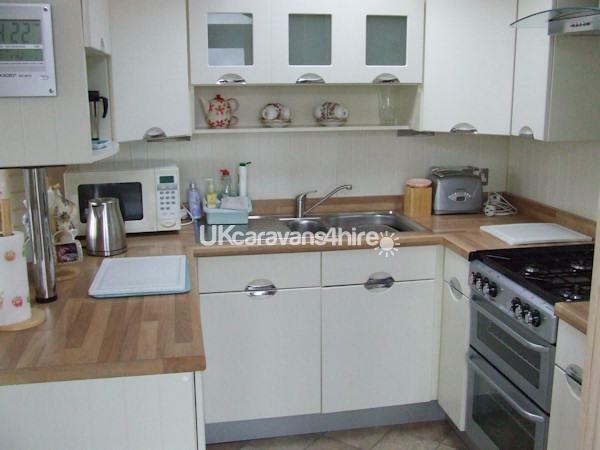 A superbly appointed caravan set in the grounds of our house.We are about 2 miles outside the village of Tudweiliog, easy walking distance over the neighbouring fields if you are feeling energetic. The village has a lovely pub and there is a convenience store for any last minute groceries. 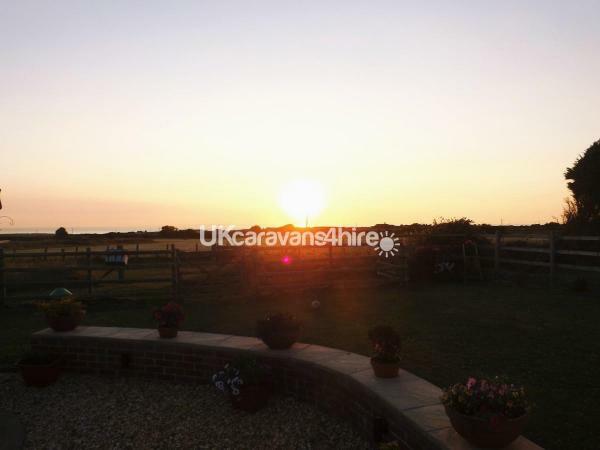 We are within easy walking distance of the coast and some lovely coves to explore, sandy beaches can be reached by car within a 5 minute drive. Further afield in Pwllheli, a 20 minute drive, there are supermarkets and shops to suit all tastes. 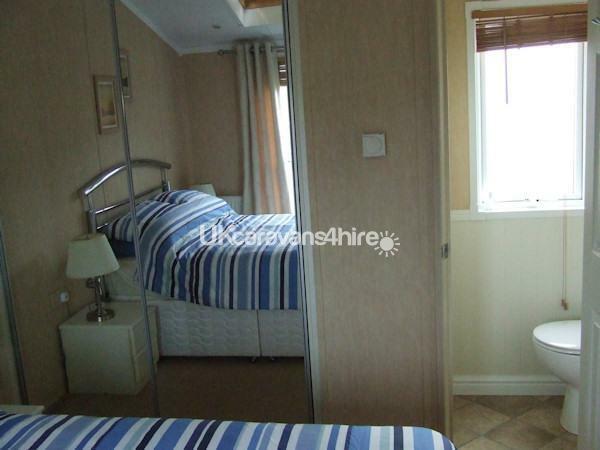 Llandudno is about an hour and a quarters drive away, over the mountain road which affords wonderful views of the coastline.The caravan is only around 8 years old, it has full double glazing and full central heating. 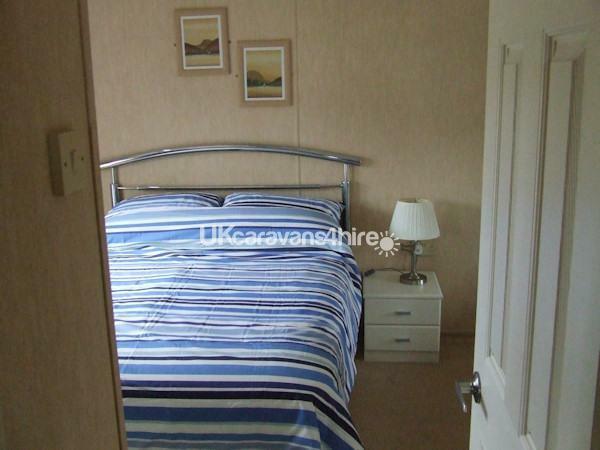 The large master bedroom has a small en-suite, full length mirrored wardrobe doors and a tv, there are 2 further beds in the second bedroom, a nice bathroom with separate shower cubicle, a modern kitchen which has a full size gas stove, microwave and large American side by side fridge freezer with a drinks dispenser, a dining area with table and chairs, and a comfortable lounge with flat screen TV and DVD player. 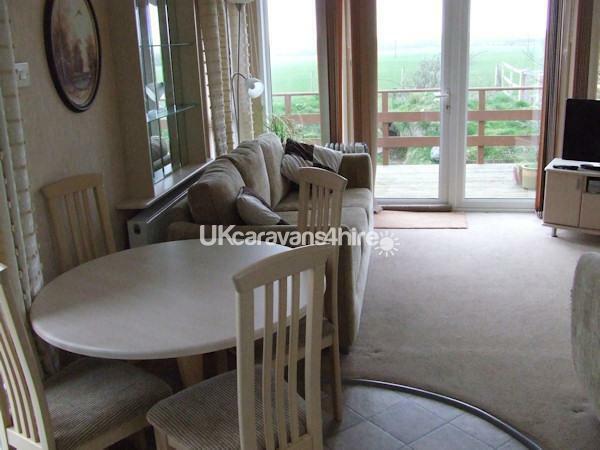 The rear double doors open on to the decking area, which is ramped at the side of the caravan for ease of access. There is a table and chairs set out on the rear decking where you can sit and relax in the evenings and watch the most gorgeous sunsets you are likely to see . Your nearest neighbours will be sheep and our beautiful horse, Flash, and of course, our Alpacas, who spend their days in the field adjoining the caravan. We are tucked away in a secluded part of the Llyn Penninsular overlooking the coast. 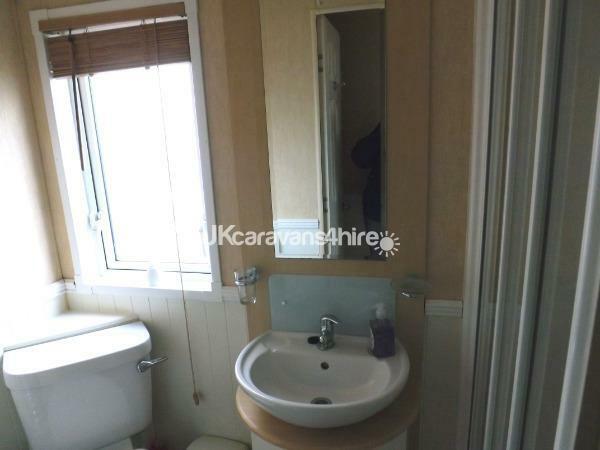 There is a nice garden/play area for your private use adjacent to the caravan, a washing line and picnic table are also there for your use. 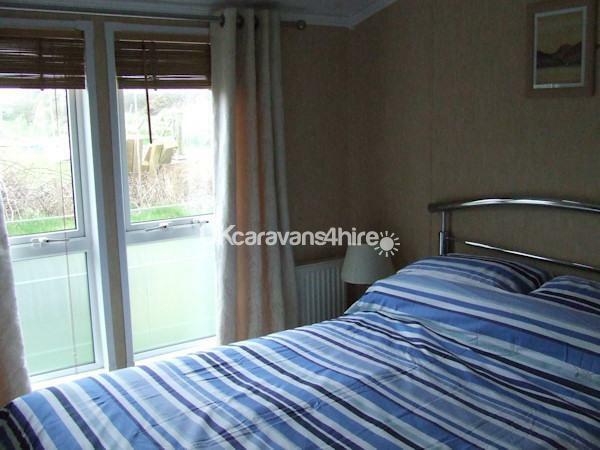 Everything is supplied for your stay, bed linen, duvets etc., all you need are your own towels. Should you require any further information, please contact us direct, we shall be happy to help. No reviews found. 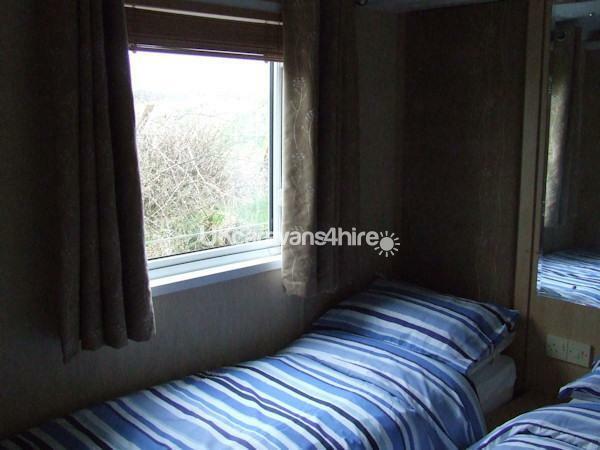 If you have recently stayed in this holiday home please leave a review, it only takes a few moments and will really help future guests when they are searching for holiday accommodation at Private Land at Tudweiliog.